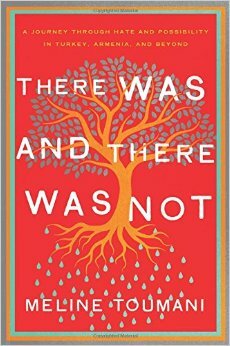 Meline Toumani will read from her new book, There Was and There Was Not: A Journey Through Hate and Possibility in Turkey, Armenia and Beyond at the Armenian Diocese, 630 Second Avenue, New York on Thursday, March 26 at 7PM. The event is being co-sponsored by the Zohrab Information Center, the Armenian Students’ Association, and the Armenian Network of America. Dr. Margarit Ordukhanyan, Adjunct Assistant Professor of Classical and Oriental Studies at Hunter College, will moderate the evening’s discussion and presentation. In her new memoir, a finalist for the 2014 National Book Critics Circle Award in autobiography, Ms. Toumani examines the complex role that inherited ideas about “the Turk” have played in her own identity as an Armenian-American and as a writer. The public is invited to the presentation, which will take place in the Guild Hall of the Diocese, and is free of charge. A reception will follow, with copies of the book available for purchase. Those planning to attend are asked to RSVP to nyasa@asainc.org.